Thank you so much for being a member! 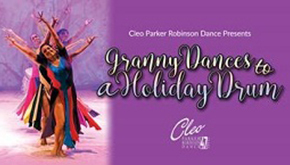 For 26 years, the Cleo Parker Robinson Dance has blended dance, live music, spoken word, and seasonal celebrations and customs from around the world into memorable holiday traditions. Granny Dances to a Holiday Drum is a multicultural celebration that touches the hearts of people of all backgrounds, kindling the wonderment and magic shared across the holiday season. Each year, Granny highlights stories from her rich life dancing around the world, making way for new twists and scenes every year. No wonder it’s one of the city’s most beloved family traditions, inspiring audiences both young and old through the universal language of dance! Click here and enter Promo Code RMPBS. 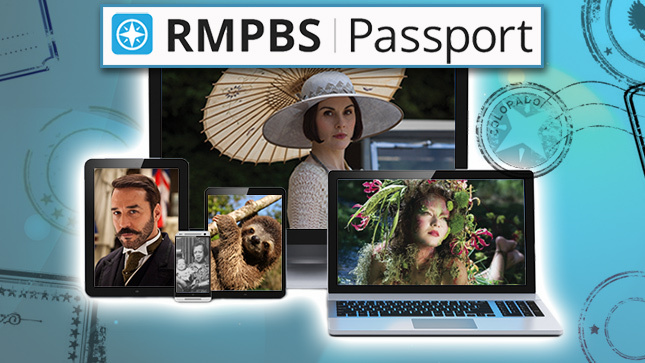 Introducing RMPBS Passport, our newest member benefit that offers station members access to an extended on-demand library of programs. RMPBS Passport is available to members who donated $5 per month ($60 per year) or more. If you qualify, click here and enter the email address associated with your membership to receive information on how to activate your RMPBS Passport. Invite your friends to become members of Rocky Mountain PBS so they can access RMPBS Passport, too! Visit www.rmpbs.org/passport for more information. Problems or questions? Contact Sydney Sullivan. Want a DVD of your favorite PBS program? 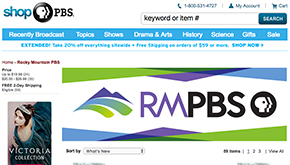 Rocky Mountain PBS members get a 15% discount on all Rocky Mountain PBS and PBS merchandise items. Simply enter this code when you check out: MEM_15.